Fertility treatments are helping individuals and couples create families at an ever-increasing rate. With the increase in popularity of these treatments, an area of law – Assisted Reproductive Technology Law or Reproductive Law – has developed. As an attorney who has PCOS (“Polycystic Ovarian Syndrome”), Karen Persis understands fertility issues, and also all aspects of assisted reproductive technology law in Florida. In order to achieve your family, you may require a surrogate, egg donor, and/or sperm donor. Not all states have laws relating to surrogacy. In fact, in some states, surrogacy is illegal. We are fortunate that in Florida, we have laws that permit traditional and gestational surrogacy, as well as the donation of eggs, sperm, and preembryos. If you are considering one of these options, it is very important that the rights and obligations of each party be carefully considered, negotiated, and contracted by an experienced attorney. If the agreement is not thoroughly drafted, legal issues could arise during the course of the surrogacy or after the child’s birth. As a reproductive attorney, Karen Persis represents Intended Parents in traditional or gestational surrogacy agreements, preplanned adoption agreements, egg donor agreements, and sperm donor agreements. She also represents surrogates (and their husbands, when applicable) in traditional or gestational surrogacy agreements or preplanned adoption agreements. Karen also represents egg donors and and sperm donors. 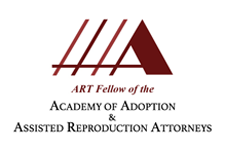 Attorney Karen Persis represents clients in assisted reproductive technology law matters throughout the State of Florida, including Miami, Jacksonville, Tampa, Orlando, St. Petersburg and more.